Your Temporomandibular Joint (TMJ) allows your lower jaw to move. Your TMJ helps you chew with power. Without proper oral care you can develop TMJ disorder. Signs of TMJ disorder include headaches, ear pain, dizziness and tenderness in the face. Patients also complain of ringing in their ears. TMJ disorder can be a frustrating condition. If the Temporomandibular joint regularly locks up it can be hard to chew. Visit Sea-Tac Family Dentistry today. We’ll educate you on and treat the symptoms of TMJ disorder. Get the oral relief you need with TMJ disorder treatment. We’re highly skilled in correcting TMJ disorder. Patients enjoy being freed from the painful symptoms of TMJ disorder. 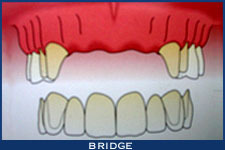 TMJ disorder treatment treats your TMJ disorder symptoms. With TMJ disorder treatment you won’t have difficulty with chewing. Dr. Yeh uses the latest TMJ disorder treatment techniques to remove any pain and discomfort. TMJ disorder treatment will help you maintain a healthy and functional Temporomandibular joint. Contact us for an appointment today.